The word BUS stands for Bidirectional Uniting System. Arithmetic instructions for addition, subtraction, multiplication and division available. Logic instructions like AND, OR, NOT, COM and XOR handy as well. The internal CPU control also needed for a programmer. .Inherent for moving data between registers. 99% of PC uses doesn't have worries about the internal of their PC's such as hardware structure and assembler programming. Word processing, Browsers and Games popular applications. PC's by nature "general purpose"
Its possible to buy PC's for harsh environments. 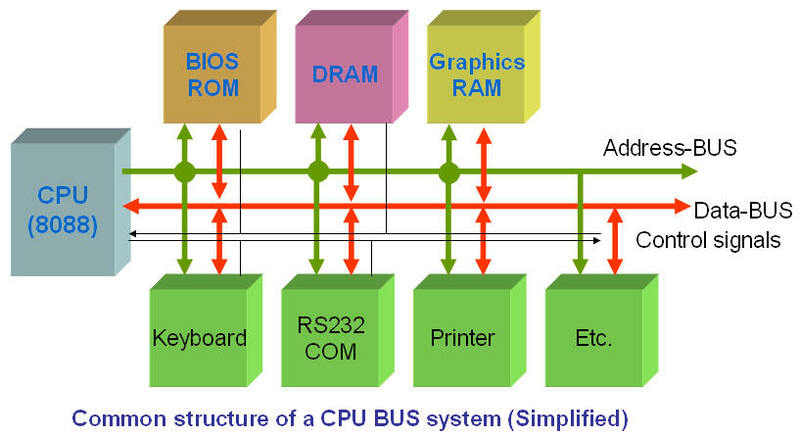 Programming of a PC not and easy task if you must work with the hardware in order to get input/output.